The key to a successful house flip it a good contractor. Let’s assume you’re going to sweep in a pick up a foreclosed property at an amazing price. It will then fall to the contractor to work their magic and do what needs to be done to get that property ready to flip. If this is your first time flipping, you can expect that no matter what you budget, you’re going to run over. That’s because you never know what problems a foreclosed house might be hiding. That’s why you should build in a contingency amount to your remodeling budget. 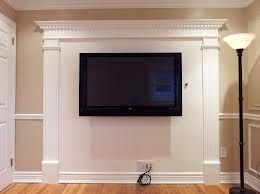 Before the contractor can bring in his crews, the property will need to be wiped clear of clutter and debris. For that job, you only have to hire Junk King. They are the experts when it comes to foreclosure cleanouts. 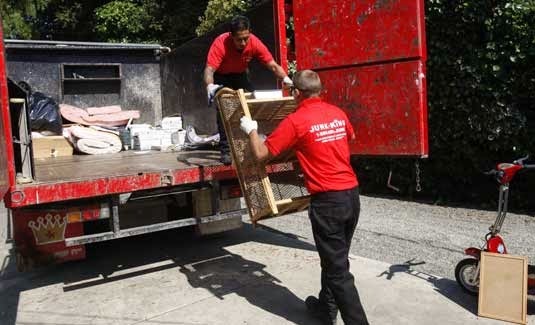 Unlike the typical junk removal appointment, foreclosure cleanouts might take a bit more effort in terms of labor and truck space. Junk King can provide both of those in abundance. The goal is to get that house cleaned up in a single appointment. You don’t want your work crew waiting for garbage to be hauled away. Before the Junk King crew arrives, you’ll be doing a walkthrough the property to see if there is anything that could be reclaimed. Everything else can be loaded onto the Junk King truck including carpets, drapes, furniture, appliances and trash. If there is something that has to be dismantled to be hauled away, the Junk King crew will be able to take care of that as well. That same Junk King crew can also remove all the trash, debris and junk from the yards. No matter what you do on the inside of that house, if you don’t have great curb appeal, then you’ll never attract buyers. When Junk King has completed the foreclosure cleanout, you might want to keep them on standby alert. You’re sure to create plenty of demolition and construction waste during the remodeling process. Junk King can swoop in at the end of the week to make sure all of that trash is removed from the property. Remember, you won’t be able to throw that much trash out in the weekly pickup. You’ll need to bring in the pros for complete foreclosure cleanouts and those pros would be Junk King. This entry was posted in Palm Beach Foreclosure Cleanouts and tagged Junk King, Palm Beach Foreclosure Cleanouts on June 29, 2014 by Dave Archer. Last updated July 31, 2017 . World Cup Soccer is up and running which means the next couple of weeks will be full of thrilling matches. You can’t watch all of these games at your favorite sports bar. Some of this viewing is going to go down on your sofa. Is your couch up to the challenge? If not, then you might want to swap it out for a new, improved model before the gang shows up. You’ll be able to get a sofa that is stain resistant and comfy. The big challenge is taking care of the old couch pickup. You might be able to borrow a pickup truck and get some friends to help load it up but then what happens? Would you even know where to dump a large item like that? When you put a professional junk hauling company like Junk King on the job, you won’t have to give your couch pickup a second thought. Remember when movers brought in your sofa? It two at least two of them, right? That’s what you’ll be getting when you hire Junk King. Two very capable moving types will show up and make sure your couch is taken away without damaging your walls or floors. The sofa will be loaded onto the back of the Junk King truck. That is something else you won’t have to worry about. The Junk King truck will have plenty of room for your couch pickup and the removal of any other bulky item. Supposed you put off your spring-cleaning? With Junk King on the job, you’ll be able to sweep through your closets, garage, basement and attic knowing that whatever you want taken away can be removed in a single trip. Not only can Junk King handle your couch pickup but they can also lend a hand with backyard waste removal. Turn that Junk King crew loose picking up any fallen palm fronds, grass clippings, busted planters, patio furniture or mounds of dirt. Everything goes on the back of the Junk King truck. 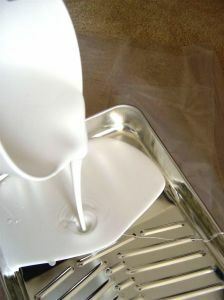 You’ll also benefit from Junk King’s eco-friendly policies. They’ll automatically recycle or donate any item they deem worthy. Just because you’re “over” your sofa, doesn’t mean another family won’t be able to benefit from the couch. And there won’t be any extra charge for Junk King to drop your stuff off to that charity. It’s all part of the complete removal package. Get ready for World Cup with a new sofa right after Junk King takes care of the old couch pickup. 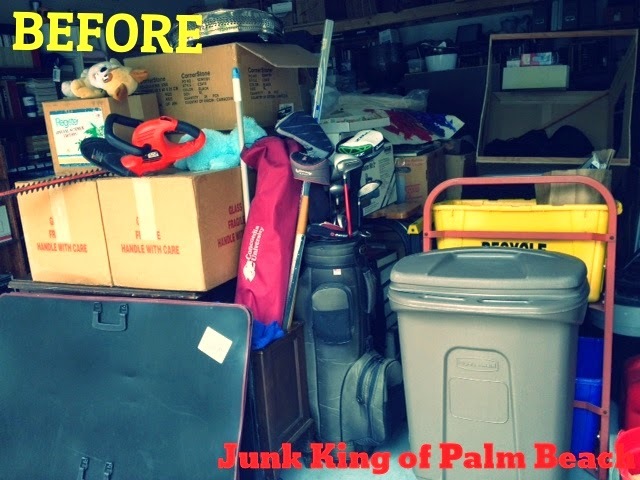 This entry was posted in Palm Beach Couch Pickup and tagged couch pickup, Junk King, junk removal on June 17, 2014 by Dave Archer. Last updated July 31, 2017 . This year for Father’s day instead of giving dad another new tie or pack of golf balls, why not give him the peace he deserves! With one phone call to Junk King you can arrange to give your King the best gift! 1. Clear Out The Yard Debris. 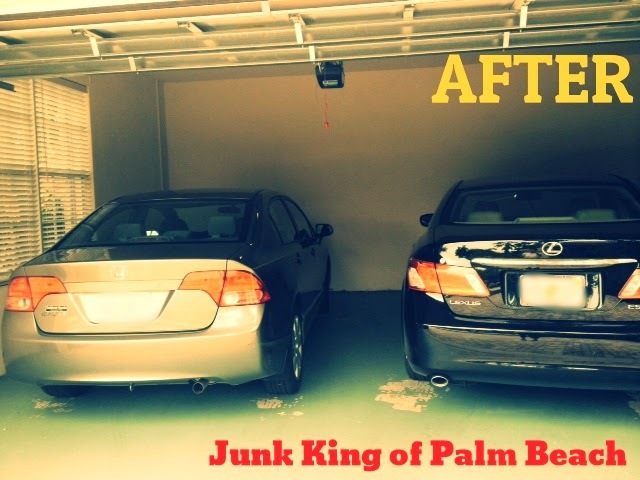 Junk King will come clean up and haul away any yard debris so your dad doesn’t have to! He can sit back on Father’s Day and relax because we’ve got it taken care of! 2. Haul Away an Old Appliance. 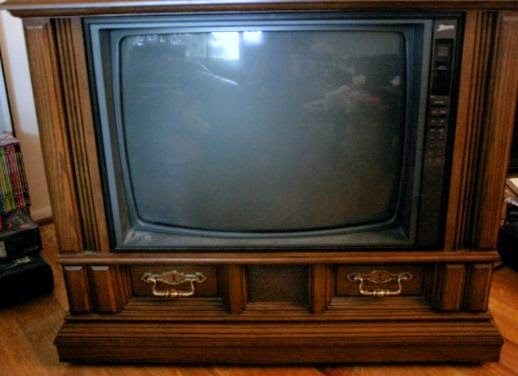 We will haul away any old appliances or televisions. Then all dad has to do is pick out a new one. Sounds pretty great, no? 3. Remove the Clutter. We will haul away any old clutter to free up more space for dad. Wouldn’t he like to reclaim the garage? Think of how happy he’d be! 4. Jumpstart the Project He’s Been Hoping to Do! If your dad has been hoping to tackle a home project but has felt overwhelmed, maybe we can help. 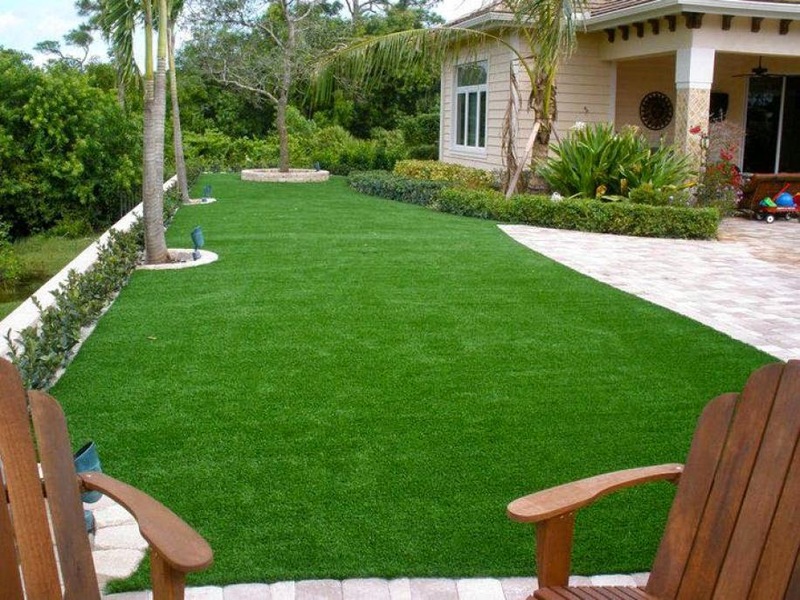 We take building materials, carpet, floor tiles, hot tubs and more! Maybe he’s been wanting to redo a space. Let us help! Happy Father’s Day! Relax and call Junk King! This entry was posted in Uncategorized on June 3, 2014 by Dave Archer. Last updated July 31, 2017 .